Jamie Oliver Recipes is already available for iPhone and Android but now the cheeky chap has announced an iPad edition. Jamie's recipes on iPad includes 120 step-by-step recipes, step-by-step photography and exclusive videos with cooking tips, hints and techniques. The app is released on to the App Store today. 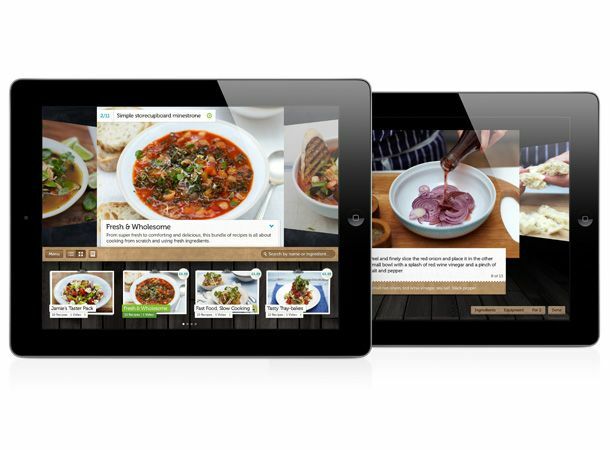 Here's our video runthrough of Jamie's Recipes on iPad.